So far, 28 people have	completed this assignment. Choose Another Assignment in this Group 10 Seconds of Thanks A Game of Reviews A Haiku Poem About A Haiku Poem A Letter to You as a Child A Picture is Worth a Thousand Words A Snapshot of a Story A Story In Alphabet An autobiography of a Virus another day Apocalypse Terms of Service apogee! Best Assignment Beyond The Headlines Cartoons on Trial Changing Fortunes Changing the Course of Time Comments For Kids Create your own story line Data of the Dead Day in the Life of a Superhero Dear Diary…. Dear Future Husband Descriptif Different Point of View – Same Place Dream It…Write It! DS106 Product Review El conocimiento abierto puede llegar a todos, emprendamos un proyecto para hacerlo realidad Emotional lyrics Explaining the Spy Extra Extra read all about it Facing Your Fears Find your voice Focus On The Background Gateways to Geekery Haiku haiku Haiku About You haiku it up Haiku it up! Haiku Recipe Historifig Holifaves How does a song make you feel? I like to move it move it I’m a real boy. I’m Having an Old Friend for Dinner.. Instagram is done…DESCRIBE your lunch to me! Is Social Networking a Different Language? It’s Dead, Jim Karen Richardson’s Five Albums That Shaped Your Taste Letter From Out of the Blue Monologue of a household tool My Dinner With Toska New Emerging Technology Writing Assignment Night Call Poem Nonhuman Perspectives Poem Made with Twilight Zone Episode Titles Poem Parody Police Beat Possible Topics Possible Topics Postcards from the Past… Products of the Apocalypse Quote Me on That Random Wikipedia Writing Renegade Teacher Sandy Brown Jensen’s Illustrate your Original Poem Seven-Character Story Treatment Sharing a Book Sharing Credit Short Story with random words and animal(s) Status Report Storied Press Release SuperStory Generator Susan Carter Morgan’s Tell me a story Taking down Google Tarantino your story! Tell It / Tweet It Tell us about your future life! That Bucket List Though The End is for Everything The Everyday Life of a Spy The Onion’d Article The Role-Playing Game The secret life of a spy Three Word Wednesday. timeline To my mom TV Guide Remix Twitter Trends Turned Lyrical Poetry Unphotographable Unusual Superhero Up-Goer Five Your Writing Welcome to Paradise! What’s In A Name? What’s on your mind? When and Where would you live Who Inspires You Wiki Game Write a movie review Write a Review Story Write an Alternative Ending Write Your Way Into History Your Adventure Is Over Your Blog in A Poem Your Character’s Past Your DigiArt Tells a Story Your Hopes, Dreams, and Fears Your Last Words Your Name Acrostic Poem Your very own face. 1. 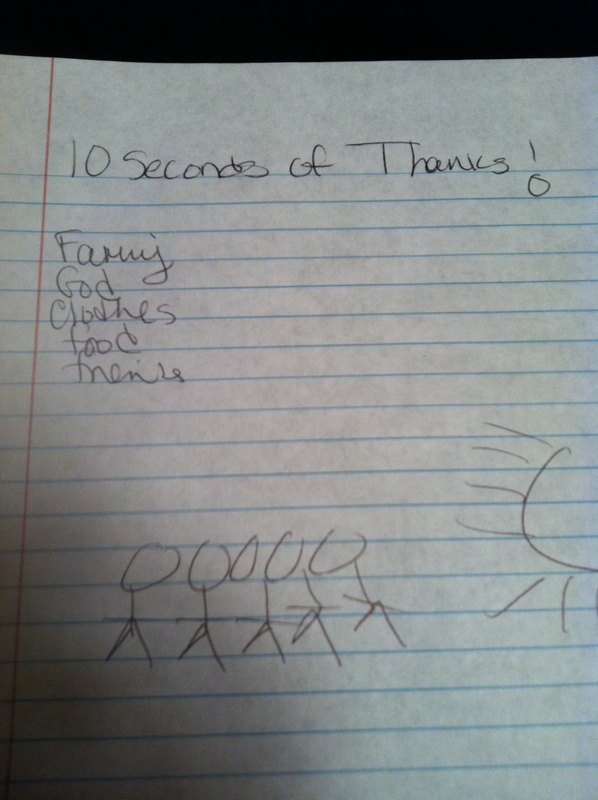 Using a timer, write what you’re thankful for in just 10 seconds! Anything and everything that you can think of being thankful for is fair game, but stop at 10 seconds. 2. Share what you’ve written on a blog, wiki, or some other digital space that others can comment on. 3. Bonus! Complete a 10 second drawing of yourself to accompany your writing, inspired by the November 19th, 2012 Daily Create! For this second writing assignment we were suppose to time ourselves for 10 seconds and in those 10 seconds come up with a list of things we are thankful for. For “bonus points” we were told to draw a picture of ourselves in 10 seconds as well. I was only able to write 5 things down in 10 seconds but there is a combination of people, sports, and of course food. Sums me up pretty well! Below are are of the things I could type in 10 seconds that I’m thankful for. In hindsight, I should have added Joe Biden’s dank memes, but those 10 seconds went by too quick for me. This was difficult, I was surprised how quickly 10 seconds could go by. I know I missed some things, probably some very important things, I don’t think extremely clearly when I’m under pressure. 10 seconds. What are you thankful for? On your marks, get set, GO! I’m thankful for my friends. I’m thankful for health (including people around me). 10 seconds were so short to write what I am thankful for. Given everything that has happened, I thought it’d be best that I take the time to do this assignment on saying what I am thankful for in 10 seconds. I went house shopping today. I think I am in love with this backyard! I chose to complete the 10 Seconds of Thanks Challenge. For my second blog post, I chose to complete the 10 Seconds of Thanks challenge. 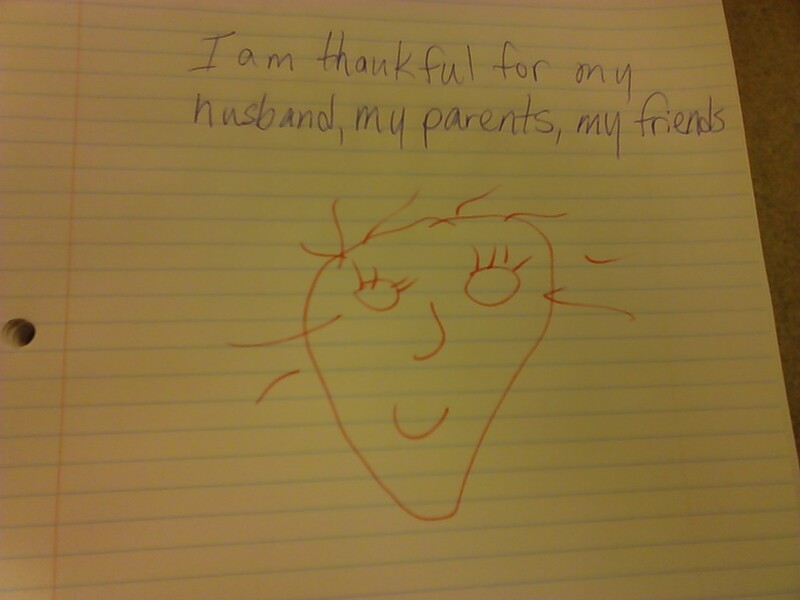 For this assignment, I had to write the things in which I am thankful for in 10 seconds and then draw a picture of what I listed within 10 seconds as well. 10 Seconds of Thanks Family, Friends, Health, My dog. Here is a simple tutorial for the 10 seconds of thanks, it involves using a pen and pencil and not your computer. Gasp! I think sometimes we need a reminder of how to use these archaic technologies. 1) Find a time keeping utility- watch, clock, phone, etc.